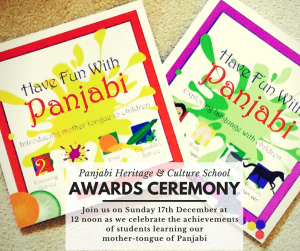 Join us on Sunday 17th December at 12 noon as we celebrate the achievements of our students learning our mother-tongue of Panjabi. 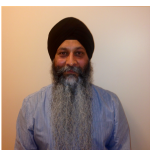 With over 200 students enrolled in our Panjabi Heritage & Culture School, this is a great opportunity to celebrate what we have achieved with your support and be inspired to learn more about our roots and heritage. We look forward to seeing you there!